Did you watch this year’s Oscars ceremony? The Academy Awards tend to be one of the most glamorous occasions on the calendar, with many of the world’s top stars turning up in magnificent ball gowns and smart made-to-measure suits as they make their way along the red carpet. However, while some celebs show us very much the right way to style a tailored suit, others fail to dress for the occasion and instead make the sort of faux pas we’d all be keen to avoid. Who were the worst dressed men on the red carpet this year, and what can we learn from their mistakes? Poor old John Travolta. Far from his Pulp Fiction and Grease heyday, the ageing leading man turned up at the 87th Academy Awards looking as though he was dressed for a barn dance. The boxy cut of Travolta’s suit jacket was unflattering to say the least, while the glossy lapels simply did not work. 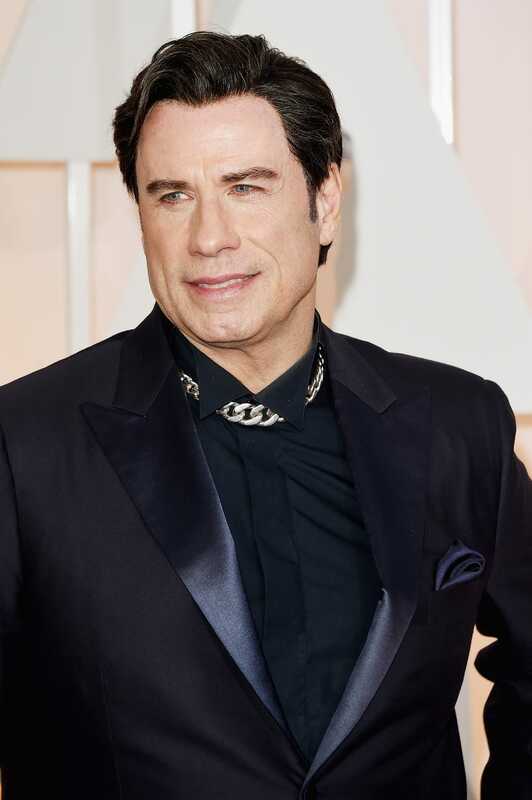 It was the accessories that really ruined Travolta’s outfit, however – the actor donned a choker collar in lieu of a tie, and paired it with a gaudy gold wristwatch. He looked more like a Texan used car salesman than a red carpet A-lister. Black Eyed Peas and The Voice star Will.i.am did himself no favours on the red carpet this year, failing to dress for the occasion and standing out like a sore thumb in the process. Instead of opting for a classy made-to-measure suit, Will wore a black blazer over an umpire striped smock shirt, turned-up trousers and white-soled high-tops. Will.i.am finished off his ensemble with a baseball cap, and was described by some as looking like a ‘Footlocker employee’. It was nice to see a gentleman trying a different look for the Oscars this year, but this effort fell well short of the mark. Jared Leto’s Oscars outfit divided opinion somewhat – you either loved it or you loathed it. Some commentators compared Jared’s powder blue and white ensemble to an ‘early 80s bar mitzvah’ outfit, while others enjoyed the slightly retro styling. We think the suit could work fantastically well in a different colour, but the pale blue screams ‘prom goer’ to us. 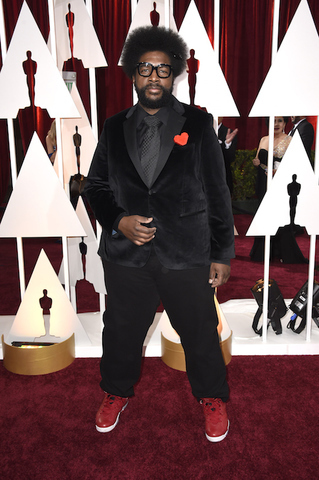 Musician Questlove was another who evoked the spirit of awkward prom goers at this year’s Oscars. Everything about his outfit was a bit of a disaster, from his satin blazer to his baggy trousers, his amateurish tie knot to his garish red trainers. We’re all for dressing with personality, but the red carpet is an event to be taken seriously! You’ve probably never heard of Mario Lopez before – we hadn’t until he turned up at the Oscars in this feeble ensemble. The TV personality wore an outfit that screamed ‘rented tux’. The skinny tie/oversized tie bar combination didn’t work for us, and neither did the excessively shiny shoes. These five stars show us how not to dress for a formal event. If you’d like to dress with a little more style and panache than these gentlemen, book in for a fitting appointment with Hemingway Tailors today. We can create a stylish made-to-measure or bespoke suit to your exact specifications, ensuring that you never look out of place again.